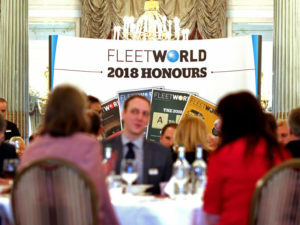 Judged by an expert panel of Fleet World Editors, the 31 categories sought to recognise innovative new products and services which cut costs, streamline operations and contribute to safer, more fuel-efficient fleets. Trophies were presented at a winners-only networking lunch, held at the Royal Automobile Club on Pall Mall. The 2018 Van Awards will be awarded at a separate event, being held on 22 March at Twickenham Stadium.